It’s like adding a turbocharger to Electronic Control Module downloads and uploads. Cummins new INLINE 7 Data Link Adapter has a faster processor, more robust algorithms, larger memory buffers and more sophisticated filtering than previous models while simultaneously accessing multiple vehicle data channels. INLINE 7 supports USB, WiFi and Bluetooth technologies in a single device. 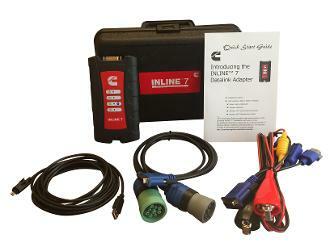 INLINE 7 communicates with your PC and is designed for future capability with mobile products.